Enjoy that perfect Romantic Getaway in a Tree Top Cabin. We are open 365 days! Looking for that perfect place for your honeymoon or romantic getaway? TreeHouseCabins.com has just the place for you! We have the most beautiful and romantic Tree Top Cabins beautifully decorated and luxurious for your pleasurable experience. These cabins are Missouri's Premiere Honeymoon Cabins. Last Minute Getaway (Three Days prior to arrival): If our couple cabins are not available for the dates you would like, please call us for a "ROMANTIC GETAWAY DEAL" on one our deluxe Treehouse Cabins. 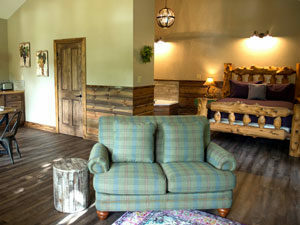 Click on the cabins below for more information and find out why many couples love to come to Treehouse Cabins! It's the perfect Honeymoon or Anniversary spot... or just a weekend romantic getaway for you and your special companion. 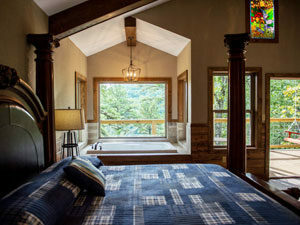 One of our newest treehouse cabins is the River Falls. It's the perfect secluded cabin for a honeymoon, romantic anniversary, vacation, or just a few days away for the two of you. 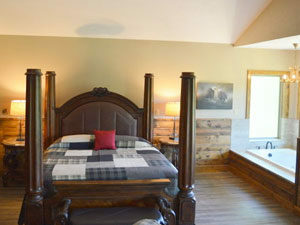 This luxurious cabin sleeps 2 in it's hand-crafted king size bed. The large whirlpool tub will also bring much relaxation. Enjoy sitting with each other in front of the fire place. Plan now for that romantic getaway and make beautiful memories together. This luxurious treehouse cabin is the perfect Missouri Romantic getaway for the two of you. The sounds of the North Fork River lulling you into relaxation combined with a luxurious cabin overlooking the river in a secluded setting is the perfect honeymoon, anniversary, or romantic weekend getaway for you and that special person in your life. 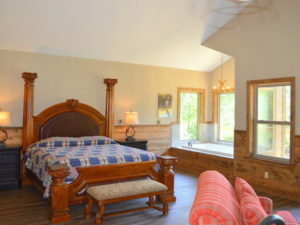 You'll find the Dogwood Cabin is perfect for a Romantic Getaway, a Honeymoon, or any other vacation where you're searching for the peace found in the privacy of the beautiful Ozark Wilderness. Make plans for that special anniversary trip. Nestled among the pines of the Ozark Mountains, the Whispering Pines cabin is a beautiful and secluded luxury cabin built for two. Enjoy that romantic getaway with your special love. 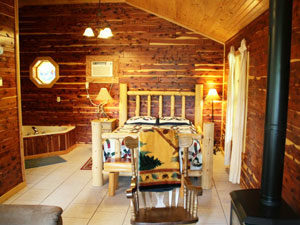 A queen size bed and large whirlpool tub will enhance this special time away. 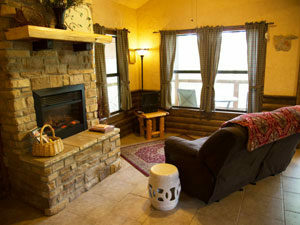 The Treetop Grapevine is the perfect honeymoon, anniversary, or romantic weekend cabin for that special occasion. 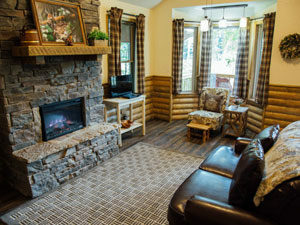 This cabin sleeps 2, has a cozy fireplace, and a large whirlpool tub to relax in. 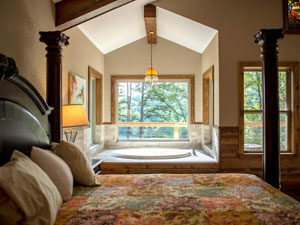 One of our newest treehouse cabins is the Hideaway. It's the perfect secluded cabin for a honeymoon, romantic anniversary, vacation, or just a few days away for the two of you. 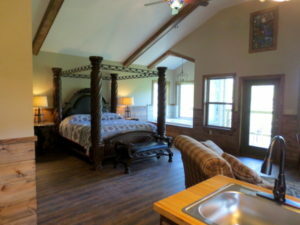 The Tree Top Cedar Chest is a beautiful and secluded cabin in a spectacular setting in amongst the trees on an Ozark mountain... a perfect setting for a relaxing vacation or a romantic getaway. 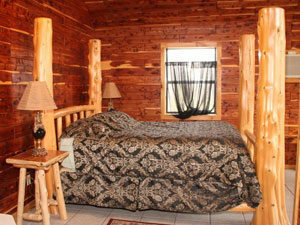 This luxurious cabin sleeps 2 in it's hand-crafted Queen size cedar post bed. The large whirlpool tub will also bring much relaxation. Enjoy sitting with each other in front of the fire place. Celebrate your honeymoon or anniversary.